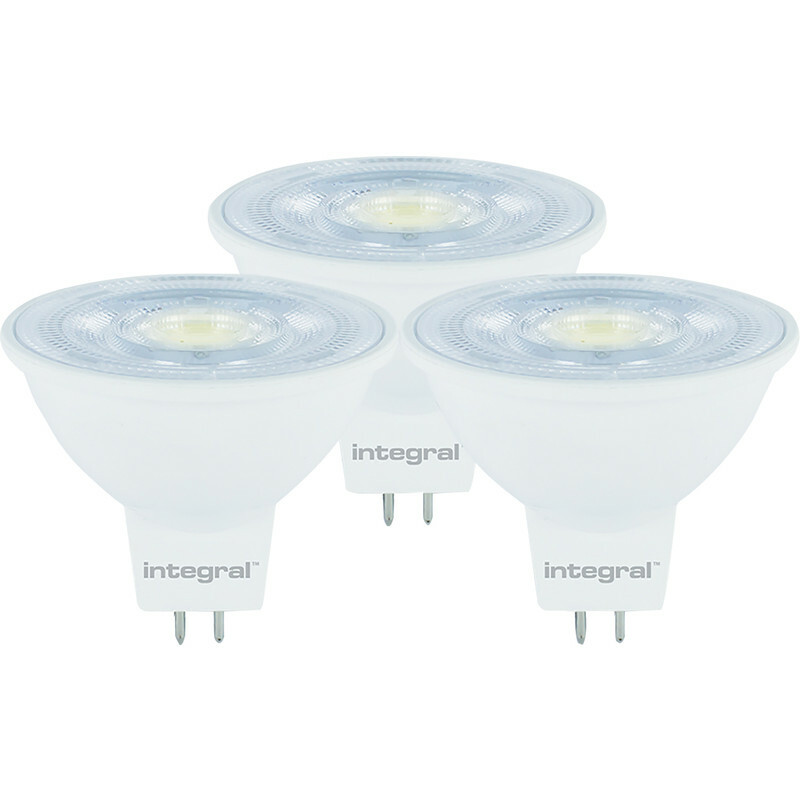 Integral LED 12V MR16 GU5.3 Dimmable Lamp 4.6W Cool White 410lm (3 Pack) is rated 3.7 out of 5 by 3. Rated 1 out of 5 by Navaho from Some were ok and some were no! I have to replace halogen lamp with these lot, some are ok some flickering. Rated 5 out of 5 by DocKH1 from Great value for money These were the cheapest available even on the internet and readily available.